Use to scribe lines on metal, plastic and a variety or other materials. Pierce holes in wood, plastic, leather, even light gauge metal. Blades are high carbon, alloy tool steel fully polished to resist rust. Blade tapers to a fine point and may be resharpened many times. 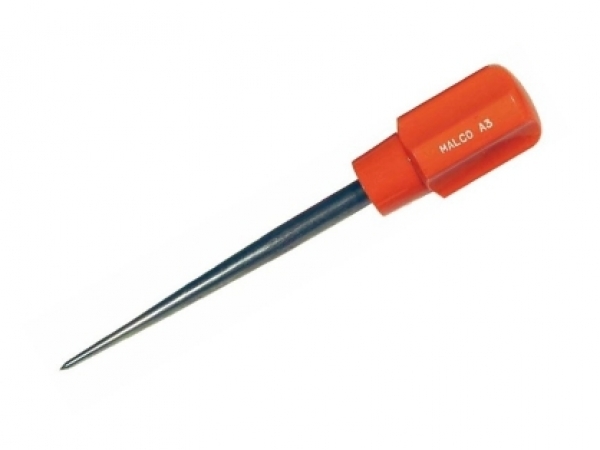 Easy-to-spot orange handles with large end bearing surface provide a sure, comfortable grip. User has choice of large diameter or regular grip handles.